Rüsselsheim. This is where a sporty character meets the spirit of adventure: modern, dynamic lines, a cool off-road look and the elevated seating position with good all-round visibility typical of an SUV. This is the new Opel Grandland X – with a host of top technologies on board and plenty of space for up to five adventurous passengers, their luggage and sport equipment. These qualities make the Opel a new contender in the booming SUV segment. In the compact class alone, the SUV share has increased from seven percent in 2010 to nearly twenty percent today. The 4.48 meter-long Grandland X’s athletic look boasts crisp exterior dimensions with its taut muscles and short overhangs. And with optional two-colour finish, the compact SUV shows its very own style. The Opel Grandland X makes its world premiere at this year’s IAA (International Motor Show) in Frankfurt (September 14 – 24, 2017). Ideally equipped and well positioned, the new Grandland X comes to market in the Autumn as the third member of the Opel X family. It joins its Opel Crossland X and bestseller Opel Mokka X siblings, which both are some 20 centimeters shorter in length. At the same time, the Grandland X expands the extensive Opel portfolio in the very popular compact car segment from Astra to Zafira. The portfolio of ultra-modern assistance and comfort features for the Grandland X is first class: Adaptive Cruise Control with pedestrian detection and Automatic Emergency Braking, Driver Drowsiness Alert, Advanced Park Assist and the 360° Camera are just some highlights. AGR-certified ergonomic seats (Campaign for Healthier Backs), heated steering wheel, seat heating front and rear and the tailgate that opens with a simple foot movement ensure top comfort. In typical Opel fashion, Grandland X drivers and passengers enjoy top connectivity with the latest generation of IntelliLink systems and the personal connectivity and service assistant Opel OnStar, which now includes new services such as booking hotel rooms and searching for parking. Smartphones can even be charged wirelessly via inductive charging. 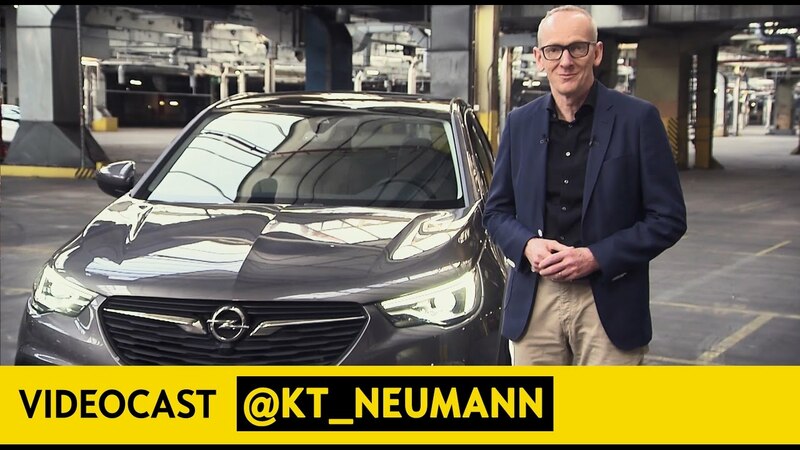 Opel again delivers on its commitment to leadership in lighting technology, equipping the Grandland X with bright driving light thanks to Adaptive Forward Lighting (AFL) LED headlamps. Functions such as cornering light, high beam assist and auto levelling guarantee optimal illumination of the road ahead, ensuring plenty of driving fun even in the dark. Its side views echo the attractive combination of rugged SUV charm and elegant lines. Muscular, sculpted wheel arches and protective cladding on the lower body give the Grandland X real off-road appeal. In contrast, clear lines and the refined blade on the lower doors identify the new Grandland X as a member of the Opel family. Optional two-tone finish with the roof in contrasting black adds an extra touch of personalisation. Its smooth flow into the rest of the body is emphasised by the “breakthrough” C pillar, which also creates a dynamic bond to the rear. The rear view of the Grandland X shows down to the smallest detail what real SUV design means: wide stance, silver underride protection with integrated tailpipes on the left and right, and above that protective cladding and slim LED taillights underline the newcomer’s sporty, muscular character. Head of Marketing & PR, Opel Automobile Ireland Ltd.